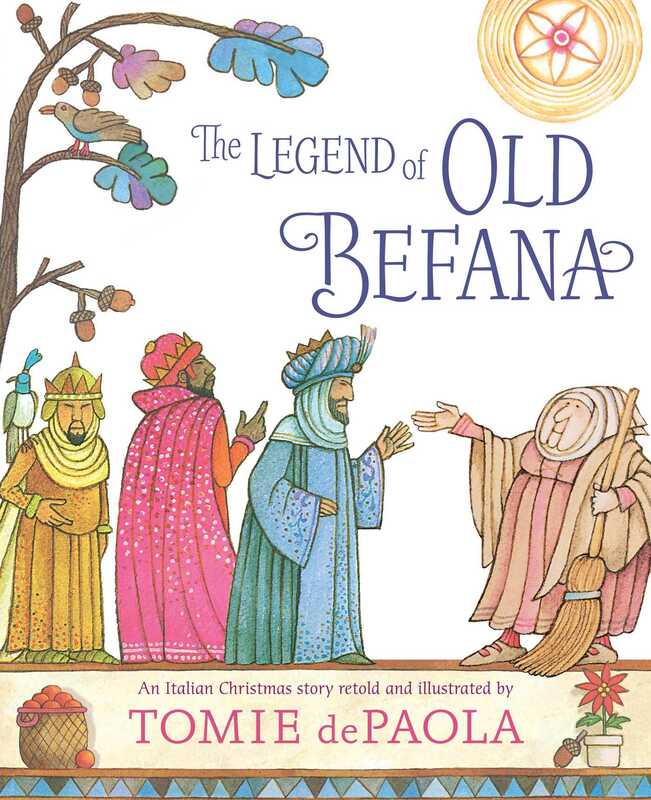 In this beloved classic picture book, Tomie dePaola retells and illustrates an Italian Christmas folk tale, breathing warmth and humanity into the character of the lonely Old Befana and her endless search for the Christ Child. Every morning and every afternoon, Old Befana sweeps with her broom. “Cranky old lady,” the children say. “She is always sweeping!” Sweep, sweep, sweep. But when a brilliant star glows in the eastern sky one night, and Old Befana encounters the glorious procession of three kings on their way to Bethlehem, her little world will never be the same. "In a tale based on Italian legend, first published in 1980 and here reissued, Old Befana spends her days baking and sweeping her house and front steps. When a splendid procession led by the three Wise Men passes by, a boy invites her to come along to Bethlehem to meet the Baby King.... DePaola’s ink and watercolor illustrations use flowing lines and glowing colors to propel the story and attract the eye; rustic details help define the Italian-village setting."